c (299,792 kilometers per second) from Seaquark Films on Vimeo. In a departure from our usual format of screening feature-length movies, this time we will watch a handful of recent science-fiction-themed ‘digital’ short films – among them Derek Van Gorder’s and Otto Stockmeier’s Kickstarter-funded short C (299,792 kilometers per second) (2013), Neill Blomkamp’s Alive in Joburg (2006) – the proof-of-concept for what became 2009’s District 9 – and the first episode of RCVR (2011), a Motorola-sponsored Web-TV series released via Machinima.com and Youtube. All of these films – as products of a throughly digitalized media environment – not only point us to the various transformations connected to contemporary media change (from crowd-funding to the use of digital video and the viral distribution of content via online video sites); as science-fiction films, they are also centrally about futuristic and/or alien technology and present us with their own takes on media change. As always, the screening is free and open for all! Finally, the films themselves are embedded here in case you can’t make it. 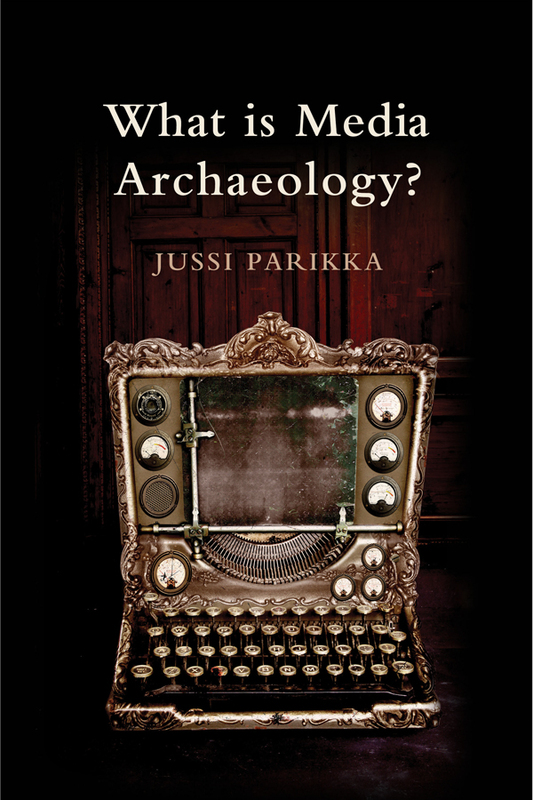 1) Jussi Parikka, “Imaginary Media: Mapping Weird Objects.” In:What Is Media Archaeology? Hoboken: John Wiley & Sons, 2012. 41-62. 2) Wanda Strauven, “The Observer’s Dilemma: To Touch or Not to Touch?” In: Media Archaeology: Approaches, Applications, and Implications. Eds. Erkki Huhtamo and Jussi Parikka. Berkeley: U of California P, 2011. 148-163. In case you missed it: both Jussi Parikka and Wanda Strauven will be keynote speakers at our symposium “Imagining Media Change,” which will be held on June 13, 2013 — for more info, check here and here. As for the Film & TV Reading Group: we are always happy to welcome new participants to our informal discussion group! For more information, please contact Felix Brinker. As a space-age re-imagining of Shakespeare’s The Tempest, complete with the first fully electronic soundtrack in a feature-legth film, Forbidden Planet challenges us to re-think the discursive and material trajectories according to which histories of film and media change are negotiated in popular culture. 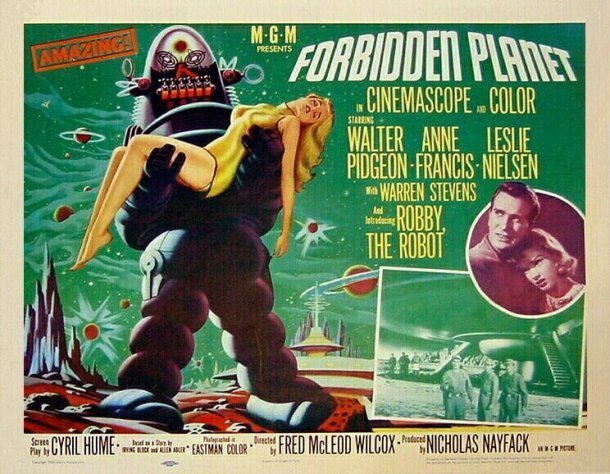 Incidentally, Catherine Grant from the excellent blog Film Studies for Free has assembled a great set of links to open-access and freely available articles about Forbidden Planet, which you can find here. As usual, our screening is free and open to all, so please spread the word to anyone who might be interested in joining us. 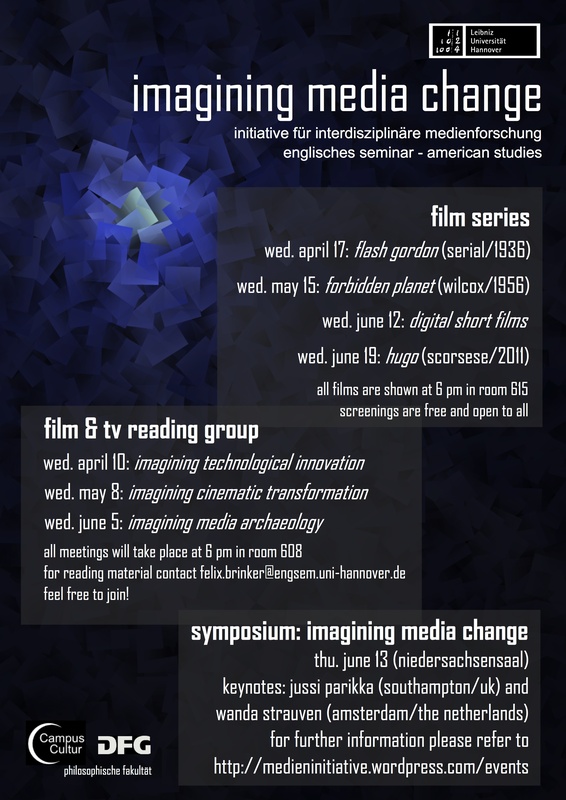 Recently, I posted the description for the symposium on “Imagining Media Change” that we’re organizing this June, with keynote speakers Jussi Parikka and Wanda Strauven — part of this semester’s larger series of events. Now I am proud to present the poster for the symposium (designed by Ilka Brasch and Svenja Fehlhaber), which includes an overview of the schedule and speakers. A more detailed schedule, including the titles of talks, will be made available soon. On April 17, 2013, we will be screening the serial Flash Gordon (1936), the first installment in this semester’s film series “Imagining Media Change.” (See here for a flyer with more details about our film series and related events, and here for a description of the symposium that forms the conceptual centerpiece.) In this context, science fiction (and sci-fi film, in particular) presents itself as a central vehicle for “imagining media change” in the 20th and 21st centuries — as a medium for conceiving the future, and in this way negotiating the changes characterising the present. 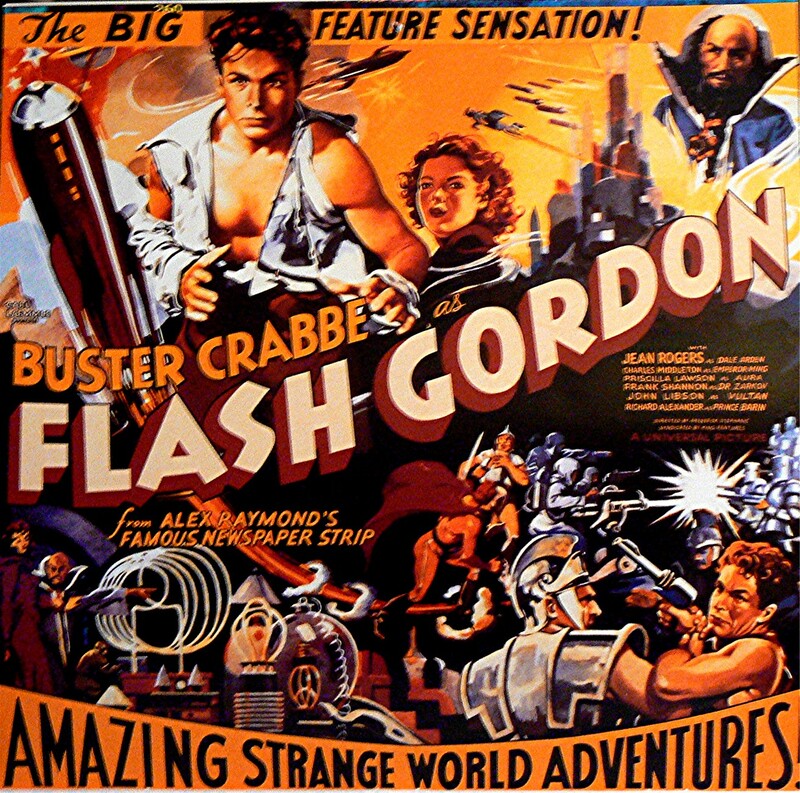 Looked at in retrospect, early sci-fi films like Flash Gordon therefore also form a natural site for a media-archaeological investigation of past changes and their parallel histories and relations to our own ongoing efforts to negotiate the transition to a digital mediascape. The screening (6:00pm on Wednesday, April 17, in room 615, Conti-Hochhaus) is free and open to all, so spread the word to anyone who might be interested in joining us. In the midst of the ongoing digitalization of our contemporary media environment, recent media and cultural studies have developed a renewed interest in the production and staging of technological innovation, in the occurrence and impact of media change, and in the ways these transformations inform the production, circulation, reception, and aesthetics of popular texts and media forms. The emergence of ‘new media’ in particular, it would seem, prompts us to rethink the role of mediating technologies within social and cultural spheres, and to explore how our everyday lives are transformed by a newly digitalized technical infrastructure. Such explorations are necessarily reflexive, however, as our attempts to imagine media change are themselves mediated by cultural texts and technologies in the grip of change. Dynamics of medial self-historicization guide our very thinking about media history: commercial logics, in particular, emphasize the superiority of the new, attest to the inevitability of the past’s obsolescence, and seek to captivate our imaginations with branded visions of the media-technological future. Seeking to look beyond these pressures, a reflexive engagement with recent media change is therefore called upon to reevaluate the impact of previous transitions and transformations throughout media history, and to excavate, if possible, discontinuities and ruptures in the development of modern media as they relate to broader social, cultural, and material processes of change. From a media-archaeological perspective, the history of media emerges not as a straightforward, linear process of technological innovation and implementation, but rather as a discontinuous series of media crises and negotiations of change. Understanding the uneven historical emergence and transformation of different types of media thus promises a renewed understanding not only of historical media, but also of contemporary media change and our present (in)ability to imagine its scope and impact. Crucial to this enterprise is an appreciation of reflexivity itself – a recognition of the fact that when media change, they also change our imaginations, including our imagination of media change. In the face of corporate and other interests that seek to capitalize on this logic and to steer our imaginations of the digital transition for their own benefit, what’s ultimately at stake in a media-archaeological excavation of our medial past and present is therefore nothing less than a political question: Will we be the subjects or merely the objects of “imagining media change”? The symposium “Imagining Media Change” takes a broad view of media-historical and counter-historical developments and transformations since the nineteenth century, focusing in particular on the reflexive interactions between media undergoing change and media being used to imagine the parameters, effects, and significance of media-technological transformations. We are interested in historical and contemporary visions of change as they are articulated in or pertain to a wide range of media (including film, television, literature, and other visual, aural, textual, or computational media). The one-day symposium aims to bring together a variety of disciplinary perspectives and interests and to facilitate discussion of the material, political, aesthetic, and speculative dimensions of media change. Keynote lectures will be held by Jussi Parikka (University of Southampton, UK) and Wanda Strauven (University of Amsterdam, NL). 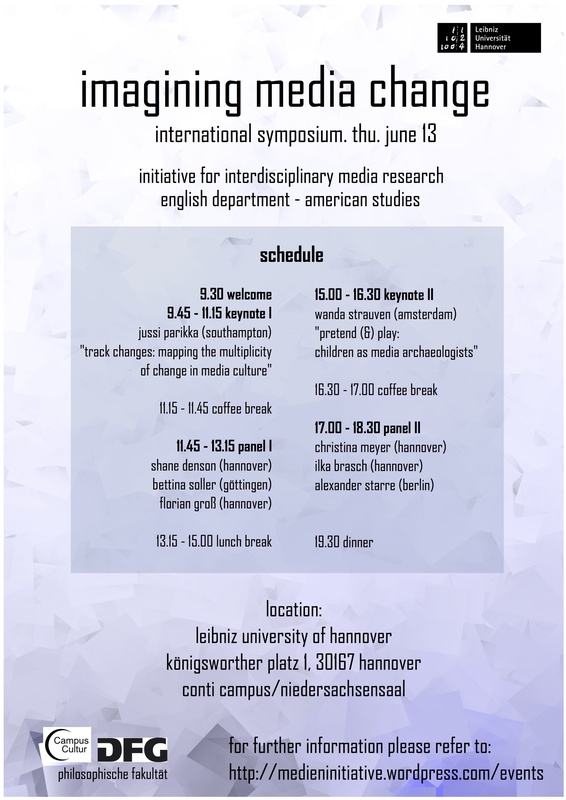 For more information about the symposium “Imagining Media Change,” please contact felix.brinker@engsem.uni-hannover.de or refer to the events page (https://medieninitiative.wordpress.com/events/). This coming semester, the Initiative for Interdisciplinary Media Research is proud to present a series of events organized around the topic “Imagining Media Change.” The flyer above (click for a larger view) details these events, which include a series of film screenings, thematically focused discussion groups, and a symposium featuring keynotes by Jussi Parikka and Wanda Strauven!